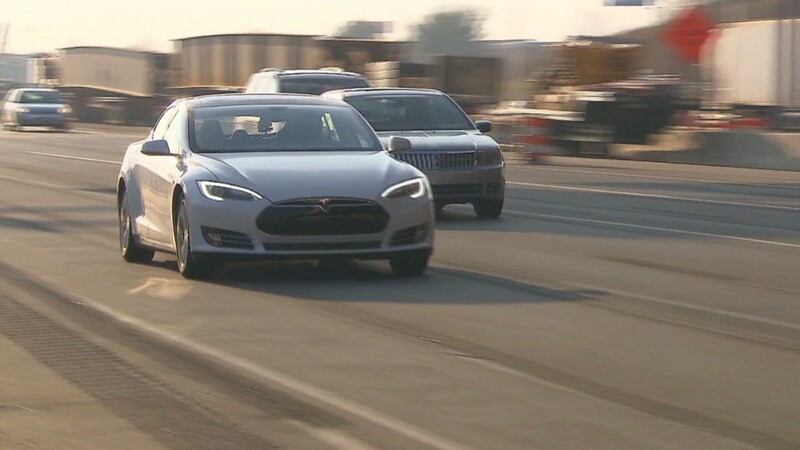 Tesla Motors, which makes the Tesla Model S plug-in electric luxury car, has announced a new financing plan for those interested in buying its cars. Under the plan, Model S buyers will be able to purchase the car without making a large down payment and will be able to sell it back for a guaranteed value after three years. Tesla (TSLA)'s plan is designed to mimic the benefits of a lease: low initial cash outlay plus no worries about the car's eventual resale value, while allowing buyers to actually own the car outright. In a traditional lease, the bank or financing company actually owns the car and the driver essentially rents it for the period of the lease. US Bank and Wells Fargo have agreed to finance 90% of the purchase price of the Model S, according to Tesla. The buyer will make the 10% down payment. With Model S prices starting at $70,000 to $100,000, the down payment could be entirely -- or almost entirely -- covered by a $7,500 federal tax credit for plug-in cars. "You can buy a Model S for no money down net of the tax credit and for $500 a month," Tesla chief executive Elon Musk said in a conference call. The $500 a month figure was calculated to include savings derived from not using gasoline. Also, among other factors, the company included the time saved from not pumping gas, estimated to be worth $100 a month. The actual monthly payment, before subtracting all the savings, would be around $1,200 for a customer with excellent credit, according to a cost calculator on the TeslaMotors.com Web site. While this financing plan might attract customers committed to purchasing, rather than leasing, a luxury car, it's still not likely to sway those who intend to lease, said Alec Gutierrez, an analyst with the automotive Web site KBB.com. Leasing still costs less per month to begin with, he pointed out, and about half of all luxury car customers lease their cars rather than buying them. BMW shoppers with great credit can currently lease an all-wheel-drive BMW 7-series sedan, a car costing over $80,000, for about $780 a month, according to Gutierrez. Tesla also wanted to ease customer concerns about the eventual resale value of a plug-in car, Musk said. After 36 months, the buyer will have the right, if he or she wishes, to trade in the Model S for the same residual value percentage as a Mercedes-Benz S-class luxury car. If a Mercedes S-class is worth 43% of its original value after three years and a Model S owner wants to sell his car after three years, he would be guaranteed to get at least 43% of the Tesla's original purchase price. The guaranteed residual value is the most striking feature of the plan, said Gutierrez. Residual values for plug-in electric cars, still largely an unknown, remain a big risk factor for buyers. 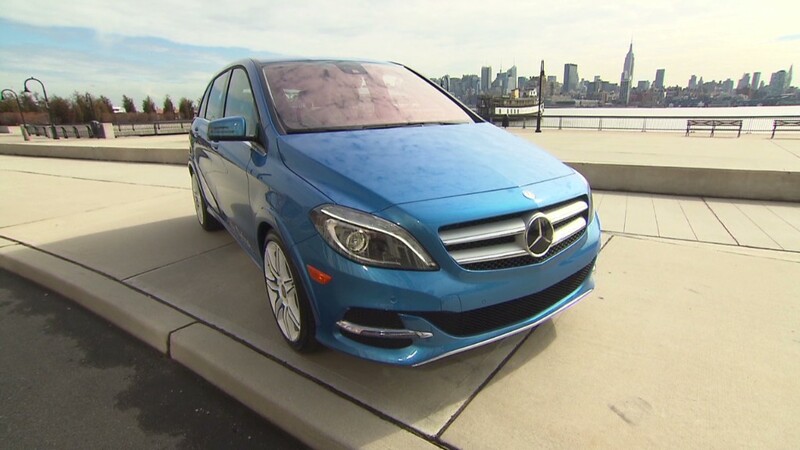 Mercedes is partnered with Tesla Motors which provides the electric power components for Mercedes' B-class electric plug-in car. Tesla recently announced it expects to soon announce its first quarterly profit based on better-than-expected sales of the automaker's Model S plug-in luxury sedan.